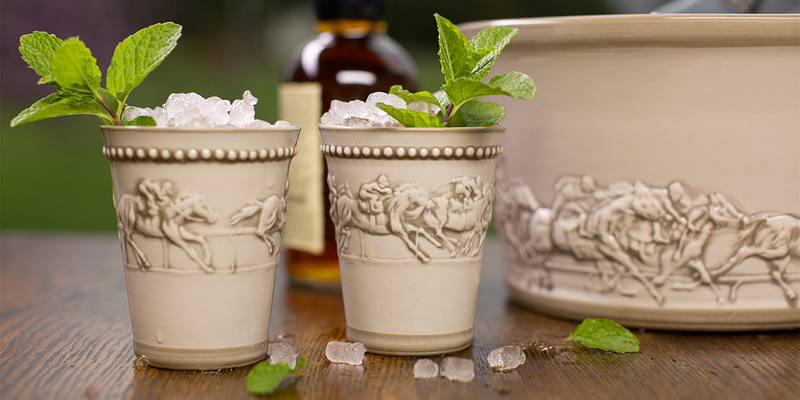 Collections - Embossed Running Horse - Page 1 - Stoneware & Co. The majestic beauty of a thoroughbred in full stride is a sight to behold. Set in stone on a table, it’s a feast for the eyes and imagination. An embossed design creates a sense of movement, depth and dimension. An antiqued white glaze adds richness, giving each piece an heirloom quality that can be enjoyed for generations.